The Jewish People, Inc. Part 2: There’s a goy in the house! I recently wrote about my experience recommending a church consultant to work with a synagogue. Fortunately, for me and for the synagogue, the experience with this consultant was excellent. He was exactly what they needed. There’s a lot of overlap – and a congregation is a congregation… tossing theology aside you’re looking at probably 70% is the same, 30% is very different. I think what’s different, at least in my experience, was how few people actually attend worship or for that matter any other type of event. There’s just not a high level of participation. I’m also surprised to learn about the dues structure, how the financials are managed. In the church world it’s tithing and let’s give to a vision rather than pay the dues and be part of the club. Those were probably the biggest differences – everything else was pretty similar. Yeah, I think if you’re not participating you don’t have that sense of ownership – what you get is a sense of entitlement. For me I likened it to – I’m a partner in a company and I have a high level of investment and if there’s a problem I’m part of the problem and I also need to be part of the solution. I’m also a member of a country club and I don’t play golf very often and I don’t play tennis very often; I may go there for dinner from time to time and when they send me a bill for the assessment I get pissed off. It’s more along those lines – there’s just not a high level of participation but people are paying dues so it creates a culture of entitlement. If there’s not a real clear sense of vision or a mission – that we’re actually trying to accomplish something – you’re left with the default mode which is low levels of participation and a dues structure. Ouch! But sometimes the truth hurts. Admittedly, my first reaction was to explain to him the historic nature of the dues structure, how it harkens back to communal support when Jewish communities were (somewhat) autonomous. I decided not to. Those standards don’t work anymore and what this consultant has pointed out is perceptive and poignant. Much has been written about synagogues as fee-for-service agencies. Ron Wolfson calls this ‘drive-through’ Judaism – you drive your child to Hebrew or Sunday school and drop them off – and keep driving. Many synagogues even have drop off lanes for this very purpose. You won’t find a parallel to these at churches. When the children are getting religious education, so are the parents. Granted, our education system is much more intense and involved, but Jews are also more secular focused than ever before. Secularity isn’t necessarily a bad thing, but when it comes to religious participation, many Jews don’t see the synagogue any differently than the JCC, or for that matter, the soccer field or piano lessons. So, what is the answer? Truthfully, I don’t know, but taking a hint from this church consultant the key is engaging members rather than attracting them. Churches have been working on ways to engage people into their communities. Some do very careful ‘spiritual inventories’ of each congregant. These interviews seek to discover the interests and gifts of each person. The congregation then tracks these gifts in a database and can then proactively engage members with tasks as needed. Of course, this requires a level of commitment on the front side. Many churches now require covenantal agreements with each member. These covenants, b’rit kehilloth I’ll call them, outline not only financial commitments but activity commitments as well. Some even have worship attendance commitments. I had the opportunity to witness one church’s ‘re-up’ ceremony. Each year, congregation’s members recommit to the church in a lovely ceremony. Families come to the front of the sanctuary and actually sign a document outlining their year’s commitments. It reminds me of the title of one of my favorite books, “Rocking the Church Membership Boat: Counting Members or Having Member Who Count” (by Jan G. Linn). The subtitle says it for me – having communities where members are engaged rather than congregations with large roles. In his book “The Multigenerational Challenge,” Gil Rendle calls the current generation “consumerist” in their focus. He calls them the Burger King, “have it your way” generation. The predominant question for this group, by and large those born since the 1960’s, is “what’s in it for me?” Joining a congregation is much like joining a health club or a country club. “I will shop around and see what each is like and pick the one that gives me the best bang for my buck.” What often happens is they determine that there is no perceived value to joining a congregation. They determine that their money is better spent elsewhere. For years, synagogues have relied on the b’nai mitzvah cycle. Young parents joined synagogues, whether they perceived value or not, when their children became old enough that bar- or bat- mitzvah loomed on the horizon. That trend no longer sustains synagogues. Alternative religious education venues are forming and not all families have ceremonies in a synagogue. If synagogues were truly market driven, they would adapt to and drive these burgeoning trends. They are not, nor have they been responsive to the needs of their congregants. What really troubles me is the loss of communal identity, of edah. Our tradition is that support of the Jewish community is not optional – it is a responsibility. Joining or not joining a synagogue is not really a matter of choice – it is a requirement. We have lost that sense of responsibility to each other, our local communities, and the greater Jewish community. We have lost edah, the notion that I am responsible to all Jews everywhere, whether they live in Israel, Buenos Aires or in my own town. This is a value that synagogues have failed to transmit in the last few generations. 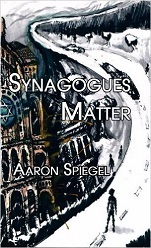 The synagogue has value because Judaism has value. By losing the value of synagogues we fail to pass on the value of Judaism. My maternal grandfather lovingly, and somewhat sacrificially, helped to build a synagogue in the town where my parents grew up. On a 2002 ‘pilgrimage’ to that town, I discovered the schul was now a church. I knew this had happened but it was startling for me non-the-less. My grandfather was an open and respectful man, and I realized that the fate of the building would not have bothered him. I think what would have disturbed him was that the Jews were gone. This neighborhood, once predominately Jewish, was now totally devoid of a Jewish presence. The suburbanization of Judaism is a reality, but this is for me a glaring metaphor for the American Jewish community. We have so acculturated into general society that we no longer have “Jewish” communities. We have been a “mobile” community for ages. But accompanying this with this move to the suburbs has been a distinct shift in attitude. And synagogues are caught in the crossfire – do they lead the community or react to it? I say neither – they need to respond to communal change AND be the pillars of edah. I often find myself watching with envy the churches with whom I work. Many are obviously focused on their congregational communities. That’s not to say that they can’t or don’t do work for others outside their community. But when a member is sick and needs help with the grocery shopping or housework, there is no question that someone will step in to take care. When a loved one dies, there is no question that the congregation as a community will support the bereaved – and they know each other well enough to grieve alongside each other. This was the way my grandfather’s schul worked. It’s almost as if we’ve abdicated our communal focus. And churches, who for years have sought to emulate the communal focus of Judaism, now do it better than we do. Martin Buber wrote that the Jewish community has lost its ability to “think Jewishly.” I contend this is a skill we can reclaim by transforming synagogues into the locus of edah. Churches have found ways to make community paramount and, maybe more importantly, relevant. Instead of competing with health clubs, soccer practice and baseball games, they have learned to be OK with what they are – centers of spiritual guidance and tranquility distinct from the mundane world. Kehillath kedoshim – holy communities. STAR’s Rabbi Hayim Herring recent blog entry, The Jewish People Inc: A Study On How Synagogues Develop is clever… and brings up an interesting question. Herring likens the development of the Jewish people, to the development of a company or corporation. We began as a family owned business (Abraham through Jacob). Jacob moves the company because of economic developments. It prospers and spins off into 12 different divisions. We experience a hostile takeover, Egyptian enslavement, which takes us off mission. A few dissenters, Moses and Aaron, try to steer the company back towards its founding mission and a return to the corporate headquarters. Because of years with lack of corporate focus, Moses ‘hires’ an outside organizational consultant – Jethro. Herring continues the story with great expertise, but I want to stop here. I recently worked with a large synagogue on long term strategic planning and organizational development. I recommended they use a non-Jewish consultant, one who is well-known in the church world but who had never worked with a synagogue. Knowing this consultant and his work well, I knew he would be a perfect match for the synagogue. Fortunately, I was right and the consultation was (and is) working very well. This congregation, which some deemed dysfunctional beyond repair, is well on its way back to health, vitality, and mission focus. Might the synagogue world take a lesson from this congregation’s experience? Moses went to his most trusted advisor, his father-in-law, for leadership advice. He didn’t care that Jethro was not part of the tribe. He was the best resource to address the issue. Synagogues might consider this model. Stay tuned for part 2 – what the consultant discovered about synagogues!